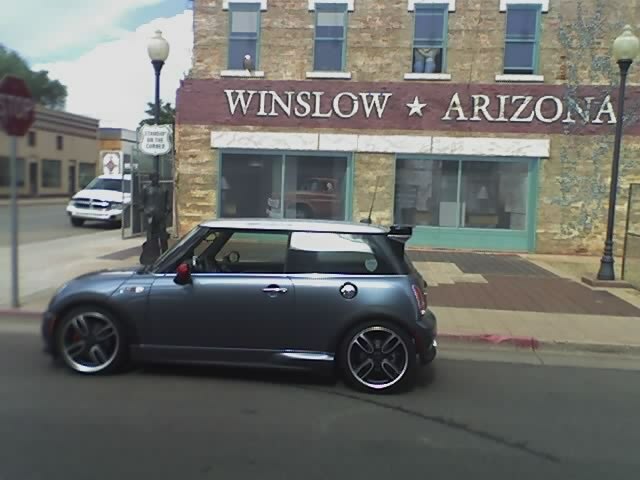 Posted on August 24, 2006 February 25, 2017 by Ian C.
Fine because it’s called Winslow, or because I40 is a long load of nothing..? Hope you’re still having fun. Say hello to my friend Danny Hinzo while you’re there. I guess it must be my off road racing daze but I love those desert roads! Hey check out the intimate couple in the window, is that for real? And Murray posted this link to the whole story which got anti-spammed – sorry Murray!